Do you have a scaffold lorry that has seen better days? Are you looking to drive into the New Year with a new second-hand truck? Whether you are looking to buy a used truck now or contemplating buying one in the future, here are five reasons why you should consider Cromwells’ range of used vehicles. In this day and age every penny counts. Why pay more when you can buy a similar product cheaper elsewhere? Look at that shiny new flatbed truck on the forecourt. Sure, it looks immaculate and comes complete with the latest technology, but as soon as you drive it away its value is going to decline considerably. That’s why buying a second-hand vehicle from Cromwells makes financial sense. You could pick up a reasonably aged box van with low mileage for a fraction of the price you would pay for a new one. You can then use that money to improve other parts of your operation or even treat your staff to a pay rise. Because you can save a small fortune on a used truck compared to a new vehicle, you can use that money to get yourself a higher spec vehicle. For a few hundred pounds you could buy a Euro 6 instead of a Euro 5 or Euro 4 or a DAF 55 instead of a DAF 45. The power is in your hands and you can choose between a range of several used vehicles. Every purchase you make comes with an element of risk. Will it work? How long will it last? Will it prove to be value for money? Fortunately, Cromwell Trucks ensures all our vehicles are meticulously checked by our trained team of professional automotive technicians. Every vehicle that enters our yard is looked over to ensure your next truck is reliable, road worthy and ready for its new life with you. Plus, every vehicle we sell comes with an extensive warranty so, if anything goes wrong, just come back and see us. If you buy a used box van and decide to sell it on after a few months your finances will not take a beating. The depreciation factor with used vehicles slows considerably after the first three years, meaning you are likely to recoup most of your outlay. Kerching! When you buy a new vehicle packed with ground-breaking technology you never know how it is going to operate in the real world. Although new vehicles tend to be super reliable, there may be a few teething problems with those technological advances. With a used truck you can look out for these issues and ask the relevant questions when buying. 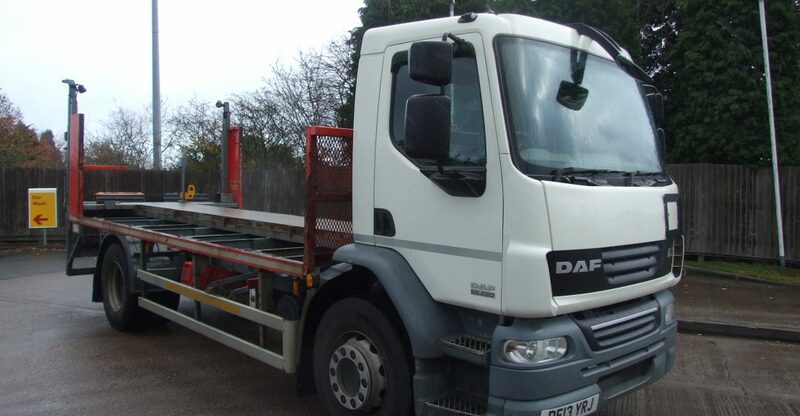 For more details call 01922 455727 or view our range of used trucks for sale now.